Goose Hollow is an excellent fishing and birding spot! Geese nest on the banks of the pond and on several small islands. 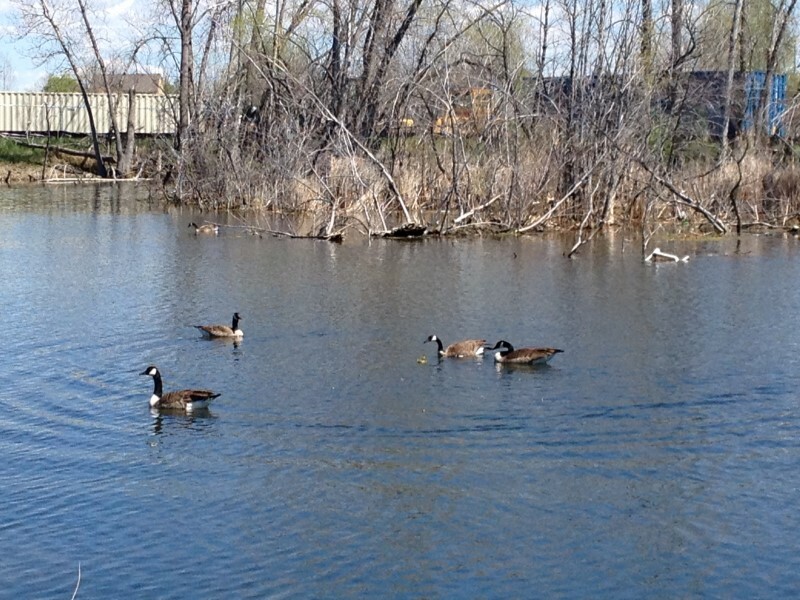 A variety of ducks and songbirds use Goose Hollow throughout the year. Black crowned night herons and pelicans are often spotted here. 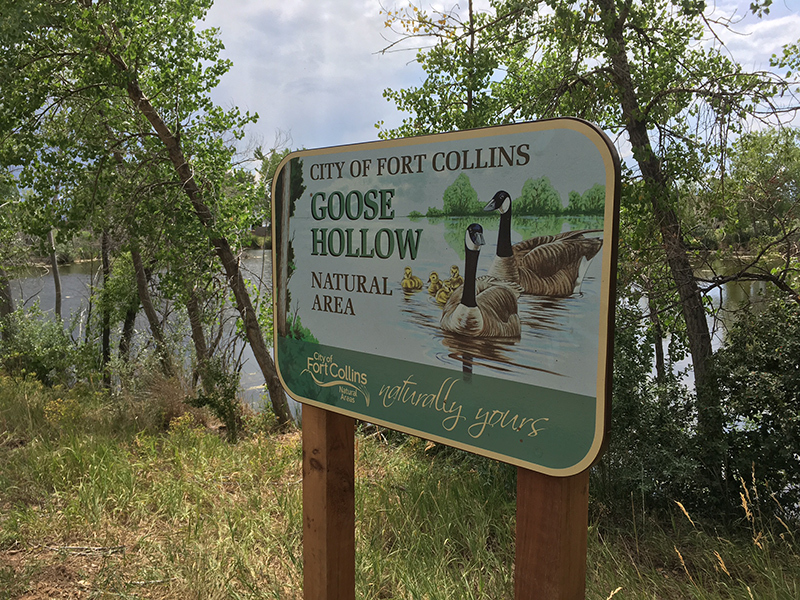 Goose Hollow Natural Area is leased in partnership with Fort Collins Housing Authority to provide public access to Evergreen West Pond. A natural surface trail surrounds ¾ of the pond to provide access for pedestrians and bikes. 5:00 a.m. – 11:00 p.m. 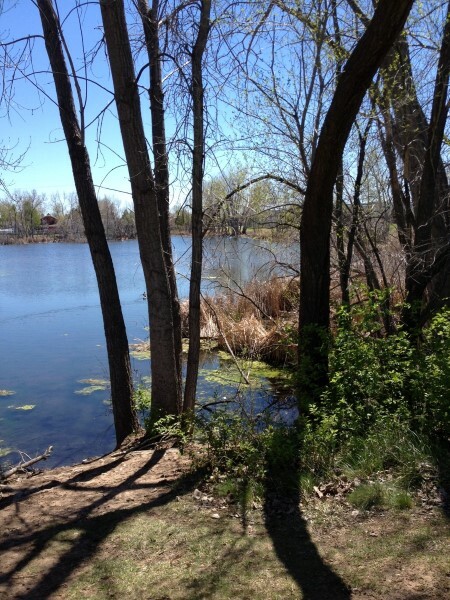 This 4-acre site is located in northeast Fort Collins, north of Conifer Street, between Blue Spruce Drive and Redwood Street.The site is accessible from a trail on the north side of the Village at Redwood neighborhood. Bike and pedestrian access only. Free educational activities and events in June-October are listed in the Tracks & Trails booklet guide. Last minute activity additions, trail recommendations and events offered between November-May are in our free monthly electronic newsletter- sign up on this page. Customized free educational programs at Goose Hollow Natural Area are available for groups, call the Master Naturalist Program at 970-224-6118 or email YWNobGVibmlrQGZjZ292LmNvbQ== . Know before you go safety and recreation information. Goose Hollow is adopted by Czero, Inc., and Ellen & Jonathan Boeke thank you for your litter clean up efforts! Plant List for Goose Hollow Natural Area. Volunteers were critical in making the list possible, thank you! Questions or list additions? Please email Y3N0cm91c2VAZmNnb3YuY29t .